DroneMapper flew 4th Ave reservoir on November 14, 2017 using their Phantom 3 Advanced drone to collect imagery for precision digital elevation model (DEM) and orthomosaic generation of the site. 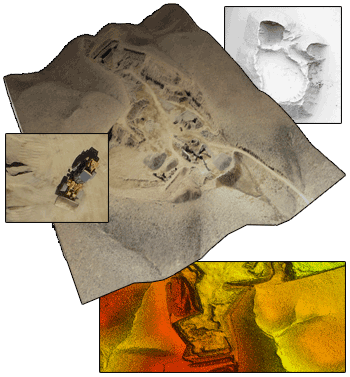 Approximately 80 images were collected and processed via photogrammetry to yield the DEM and orthomosaic. The original imagery and processed results are available for download. 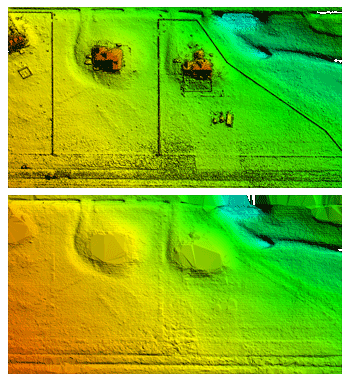 This data set was processed using REMOTE EXPERT Drone Mapping software. Click here for more details. Notes: Georeferenced with embedded EXIF geo-tags. Please let us know if you find our examples useful or use them in any interesting or exciting projects! 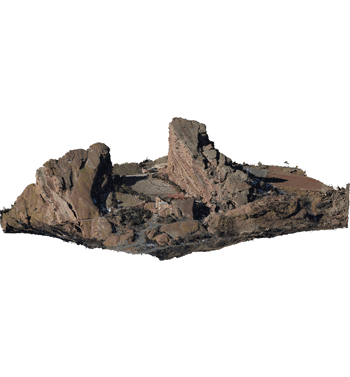 An aerial survey performed with a Falcon UAV fixed-wing drone over Red Rocks, Colorado. The sensor is a Canon Powershot SX260HS with GPS enabled. This example data set contains 45 high resolution oblique images for 3D model and point cloud creation. The original imagery and processed results are available for download. This data set can be processed using 3D/Oblique mode in REMOTE EXPERT only. It does not process in the free RAPID version of our Drone Mapping software. 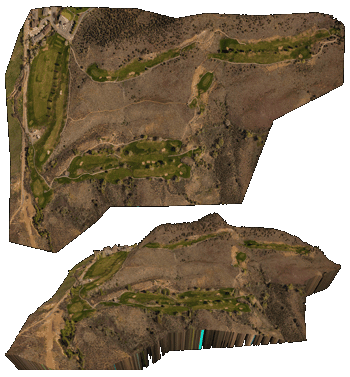 An aerial survey performed with the DJI Phantom 3 Advanced over the back 9 holes at Cedaredge golf course in Colorado. 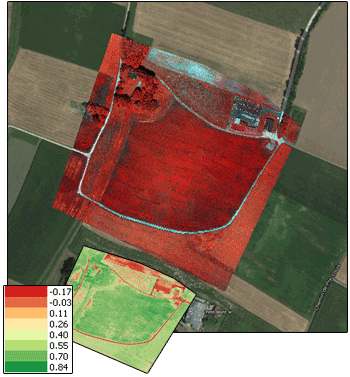 Sensor is a standard DJI P3-A FC300 at 4000×3000 pixels with 664 images collected. 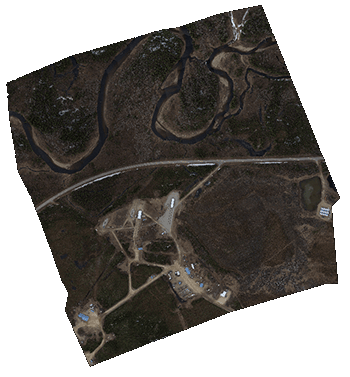 Original geo-tagged imagery and processed GeoTIFF products available for download. Two aerial survey's performed with the DJI Phantom 3 Advanced over the Adobe Buttes near Delta, Colorado. The two flights have a large amount of overlap and the original imagery for both flights is provided for download. 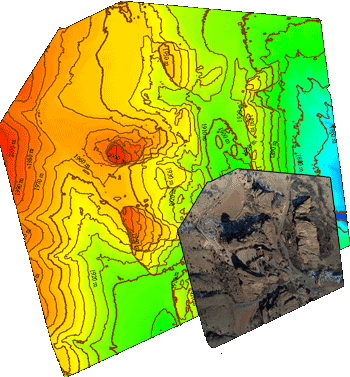 The imagery was collected at roughly 5cm/px GSD and covers a total area of 0.8 km sq. During this R&D mission, the DroneMapper team completed various ground control point target testing with our geoBits.io system. Sensor is a standard DJI P3-A FC300 at 4000×3000 pixels with 531 images collected between the two flights. Notes: Georeferenced with embedded EXIF geo-tags. No surveyed GCP, geoBits.io target testing. An aerial survey performed in Watkins, Colorado at 6.6 cm GSD with a Canon Power Shot SX260HS. For this example a DTM (bare earth terrain model) was also generated. Notes: Georeferenced with embedded EXIF geo-tags. No ground control points (GCP). An aerial survey performed in Switzerland at 3.7 cm GSD with a Canon Power Shot S110 that captures RED, GREEN, NIR wavelength. The original imagery is available at the Pix4D example page in 16 bit TIFF format. Roughly 101 images at 4048×3038 pixels were processed into an Orthomosaic, NDVI, and additional NDVI layers. 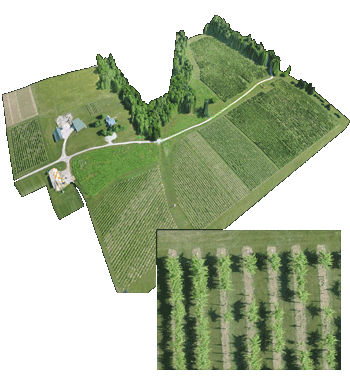 An aerial survey performed with Precision Hawk UAV over an agriculture farm near Indianapolis. The data set consisted of roughly 644 geo-tagged images from a Canon 260 at 4 cm per pixel GSD. This is a small sample of the larger 2 km2 area of interest. 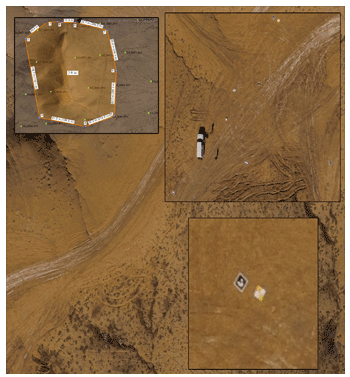 An aerial survey performed with Falcon UAV over a BLM gravel pit in Western Colorado. The data set consisted of roughly 240 geo-tagged images from a Canon 260 at 3.2 cm per pixel GSD. This example is useful to illustrate volumetric calculations, topographical surveys, contour line generation and more. Red Rocks Amphitheater, Colorado. At 6,450 feet above sea level, Red Rocks Park is a unique transitional zone where the Great Plains meet the Rocky Mountains. Red Rocks Amphitheatre is a geological phenomenon – the only naturally-occurring, acoustically perfect amphitheatre in the world. Some of the rock formations in Red Rocks slope as much as 90 degrees, while others tilt backwards. The southern monolith, that bears resemblance to a ship, is named "Ship Rock." On the opposite side of the Amphitheatre stands "Creation Rock." Both of the monoliths are taller than Niagara Falls, and the Red Rocks Amphitheatre was once listed as among the Seven Wonders of the World. Processed at ~6.6 cm / px GSD, the Orthomosaic, Digital Elevation Model (DEM), Digital Surface Model (DSM) and Point Clouds are composed of 223 geo-tagged images from a Falcon UAV. Poker Flats provided by Gatewing/Trimble. Data collection was processed at a native ground sample distance (GSD) of 4.4 cm per pixel. The Orthomosaic, Digital Elevation Model (DEM) and Digital Surface Model (DSM) are composed of 602 geo-tagged images from X100 UAV.